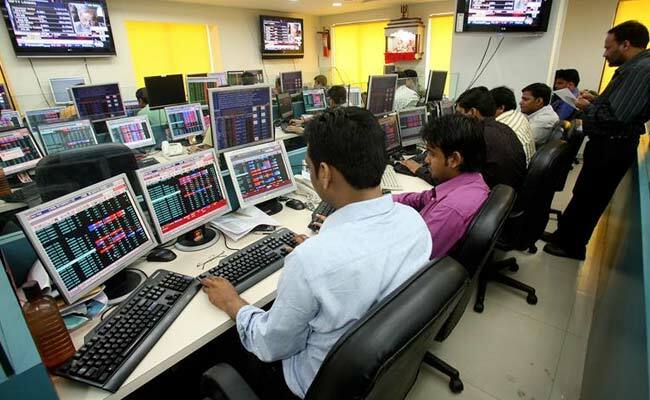 The Sensex and Nifty ended higher in a lacklustre session on Friday led by gains in consumer durable, FMCG and pharma shares such as Lupin, ITC, Hindiustan Unilever and Sun Pharma. Losses in today’s session were capped as heavyweight Nifty shares like Reliance Industries, ICICI Bank, Larsen & Toubro, HDFC Bank and HDFC faced the heat of selling pressure which weighed on the benchmark indices. The Sensex ended 64 points higher at 30,922 and Nifty declined 17 points to settle at 9,521. Earlier in the day, the Sensex fell over 150 points and Nifty moved below 9,450 mirroring losses in other global markets. “The recent correction in the markets is a healthy sign and Nifty can go up and test 10,000 levels in July or August,” adds Mr Prabhakar. From the Nifty basket of shares, 21 ended higher while 30 closed lower. Bank of Baroda was the top Nifty gainer, up 4 per cent at Rs. 162. ITC, Sun Pharma, Cipla, BPCL, Aurobindo Pharma, Tata Steel and Yes Bank were also among the gainers. On the other hand, Tata Motors, Indiabulls Housing Finance, Tech Mahindra, Tata Power, ICICI Bank, HDFC, Larsen & Toubro, Reliance Industries, ACC and Bharti Airtel were also among the losers. Buying in today’s session was led by pharma and FMCG shares. BSE FMCG sub-index rose over 2 per cent while the healthcare index rose 1.5 per cent. At the same time, auto shares witnessed selling on worries that GST would push up prices of cars and lead to a decline in sales. The broader markets outperformed the benchmark indices as mid-cap and small-cap indices rose 0.6 per cent each. The overall market breadth was neutral as 1,358 shares ended higher while 1,209 closed lower on the BSE.